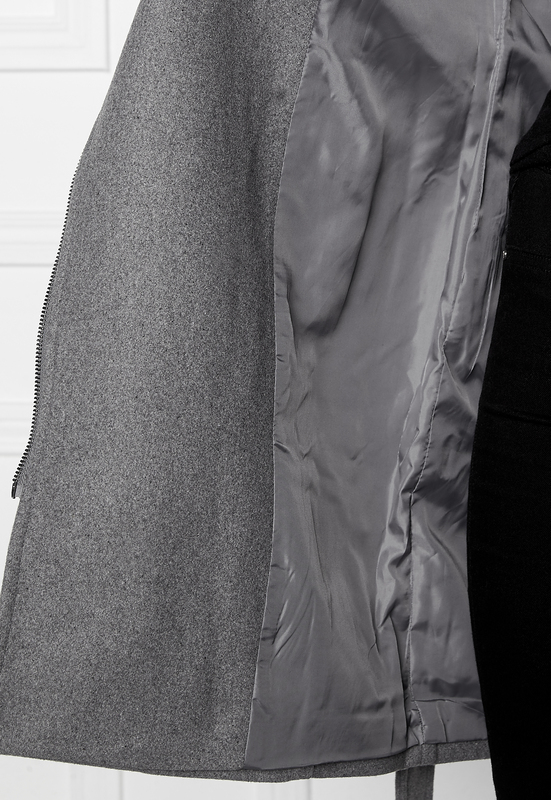 Trendy clean cut coat from Object, the perfect autumn piece. Front zip, large hood, two pockets and detachable waist belt. Lined. Back length from shoulder 90 cm, bust 102 cm and sleeve length from shoulder seam 64 cm in size 36. Dry clean.